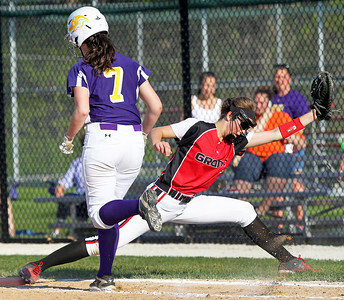 Candace H. Johnson-For Shaw Media Wauconda's Kayla Serio (#9) slides safely across home plate as Grant's Sarah Gallivan makes a late tag in the fourth inning at Grant Community High School in Fox Lake. Wauconda won, 10-4. 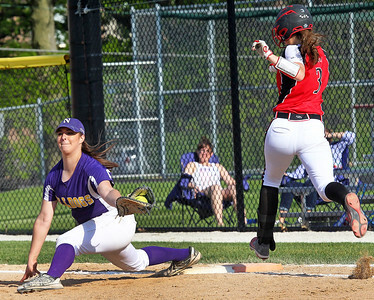 Candace H. Johnson-For Shaw Media Wauconda's Alexandra Steffens and Grant's Madison Nourigat stay close on first as they watch the ball in play in the fifth inning at Grant Community High School in Fox Lake. Wauconda won, 10-4. 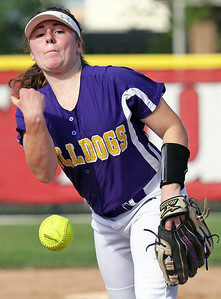 Candace H. Johnson-For Shaw Media Wauconda's Kayla Serio delivers a pitch against Grant in the second inning at Grant Community High School in Fox Lake. Wauconda won, 10-4. 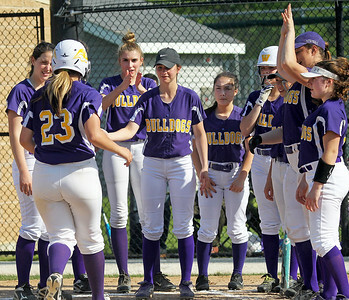 Candace H. Johnson-For Shaw Media Wauconda's Mallory Carver gets greeted by her teammates after her home run against Grant in the second inning at Grant Community High School in Fox Lake. Wauconda won, 10-4. 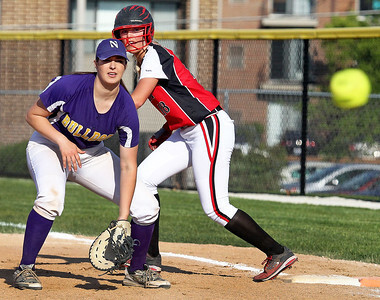 Candace H. Johnson-For Shaw Media Grant's Megan Mitchell bobbles a ground ball hit by Wauconda in the fourth inning at Grant Community High School in Fox Lake. Wauconda won, 10-4. Candace H. Johnson-For Shaw Media Grant's Calista Warmowski makes the catch against Wauconda in the second inning at Grant Community High School in Fox Lake. Wauconda won, 10-4. 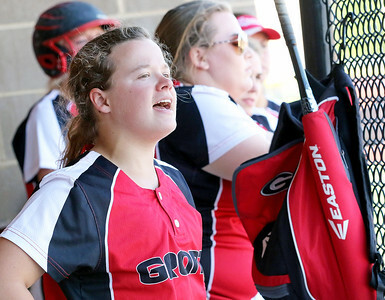 Candace H. Johnson-For Shaw Media Grant's Erin Bengston cheers on her teammates against Wauconda in the sixth inning at Grant Community High School in Fox Lake. Wauconda won, 10-4. 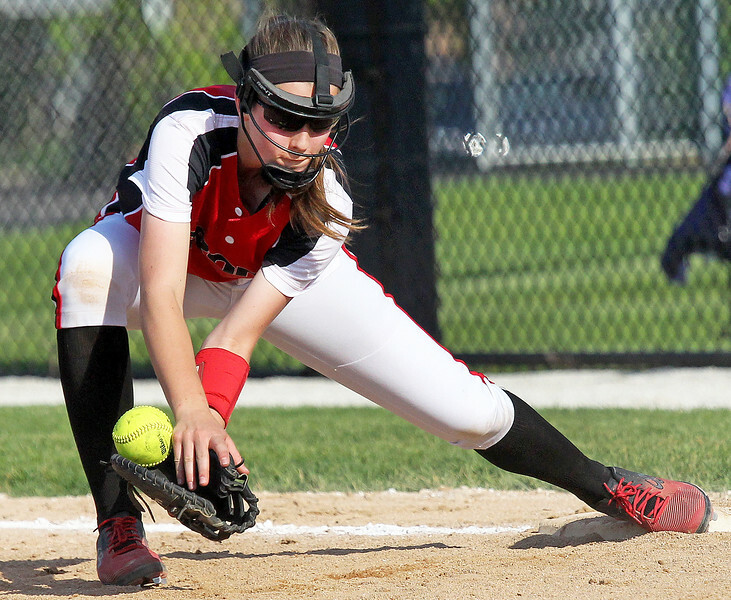 Candace H. Johnson-For Shaw Media Grant's Becca Wold throws the ball from the outfield against Wauconda in the seventh inning at Grant Community High School in Fox Lake. Wauconda won, 10-4. Candace H. Johnson-For Shaw Media Grant's Megan Chapman delivers a pitch against Wauconda in the third inning at Grant Community High School in Fox Lake. Wauconda won, 10-4. 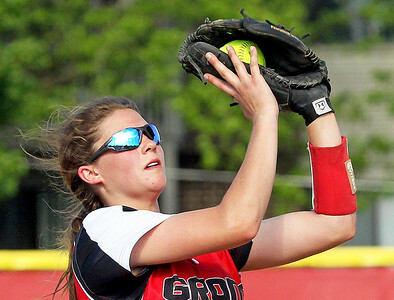 Candace H. Johnson-For Shaw Media Wauconda's Alexandra Steffens makes a catch for an out on first against Grant's Megan Mitchell in the fourth inning at Grant Community High School in Fox Lake. Wauconda won, 10-4. Candace H. Johnson-For Shaw Media Grant's Megan Mitchell makes the catch for an out on first against Wauconda's Sarah Ricci (#7) in the fifth inning at Grant Community High School in Fox Lake. Wauconda won, 10-4. 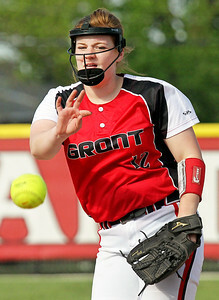 Grant's Megan Mitchell bobbles a ground ball hit by Wauconda in the fourth inning at Grant Community High School in Fox Lake.